GN solids control Is a China shale shaker professional manufacturer.Our Shale shakers are used widely in drilling fluids solids control system. down costs associated with the drilling fluid. 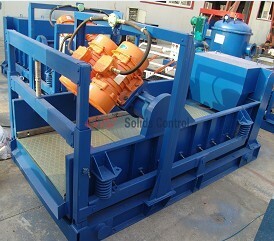 Buy shale shakers from China manufacturer-GN solids control now.Your best shale shaker supplier. Empire Industrial equipment offers reliable, high-quality equipments and also provides flawless installation service support to world-renowned manufacturers in industries like Ports, Oil & Gas Pipelines, Power Generation, Refineries, Petrochemicals, Chemicals, Fertilizers, Pharmaceuticals, Metallurgical, Forging etc. We represent some of the world’s best known manufacturers and by virtue of its own strengths in manufacturing and marketing, Empire Industries Limited is associated with many major national and international organizations. The turnover today is INR 8 Billion. We have all India presence through our branch offices in Delhi, Kolkata, Chennai, and Hyderabad., with head quarter and manufacturing unit in Mumbai and an employee strength of 1000. Our division has strategically strong business tie-ups with USA, Canada, Germany, Italy, Netherlands, Spain, Switzerland ,China and UK Suppliers. Our core strength is match making between foreign technology and equipment with Indian consumers for development of our economy and maintaining long term relationship with both our Foreign Principal and Domestic customers. We wish to be associated with your esteem organisation and willing to do business in India in Oil & Gas sector for supply of shale shaker. We are attaching one of the requirement of our customer for your reference. We look forward to your valuable advice in this regard.